Posted on October 30, 2017 by Ryan D.
This October, we’ve been leading up to Halloween with themed Take 5 posts covering critters that are spooky, creepy, and go “bump” in the night. We’ve highlighted snakes, crows, bats, and vultures, and now it’s time for the creepiest crawly of them all: spiders! Even if the thought of spiders makes you want to run shrieking in the opposite direction, you have to admit—they’re pretty amazing. 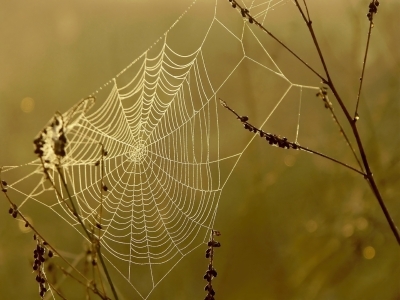 While different spiders use different webs for different reasons (and some don’t even use them), it is true that their silk has more tensile strength than steel! 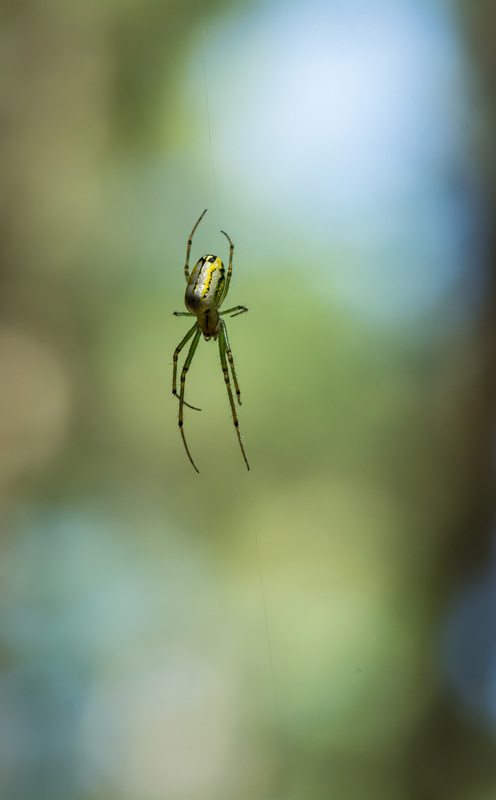 With a handful of rare exceptions, their diets consist entirely of insects…and other spiders! And since the vast majority of spiders in Massachusetts are not dangerous, think twice next time you encounter one in your home and are tempted to squish it. Consider carefully relocating it outside with a cup and a piece of paper so it can continue its duty of ensnaring and noshing on pesky insects. 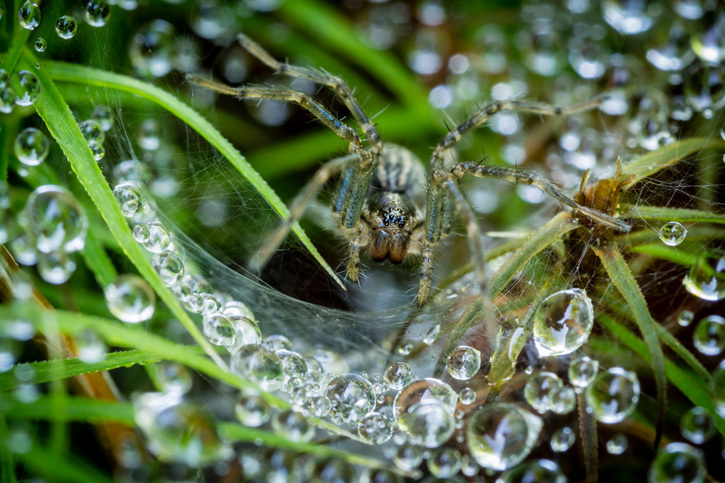 Here are five stellar photos from our Picture This: Your Great Outdoors photo contest to honor these beautiful arachnids. Happy Halloween! This entry was posted in Take 5 and tagged halloween, photo contest, photography, spiders on October 30, 2017 by Ryan D.. Even if the thought of spiders makes you want to run shrieking in the opposite direction, you have to admit—they’re pretty amazing. 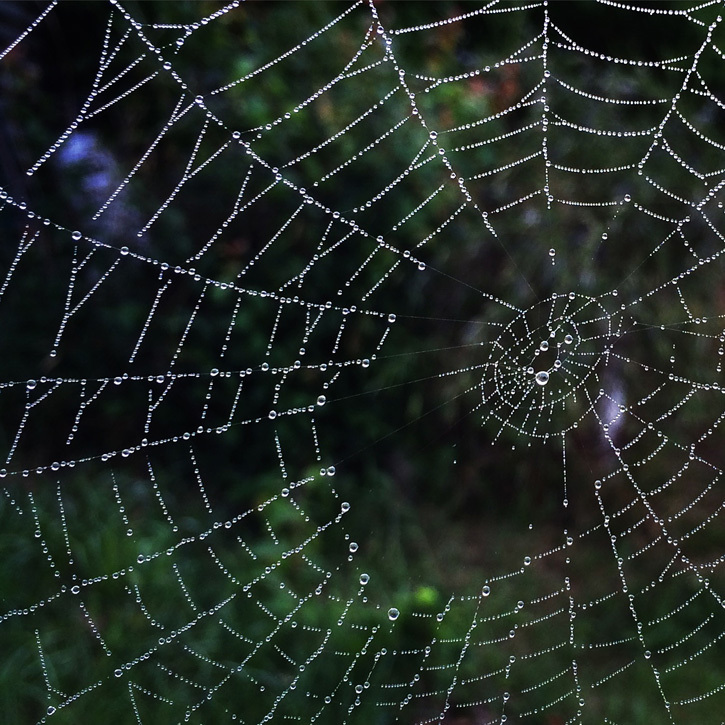 Not only does their silk have more tensile strength than steel, their webs literally are the stuff of legends. Ancient Greek mythology holds that spiders get their namesake from a village girl named Arachne, who challenged the goddess Athena to a weaving contest only to be turned into a spider when her work was deemed superior. Nature’s master weavers, different spiders use different webs for different reasons (and some don’t even use them). 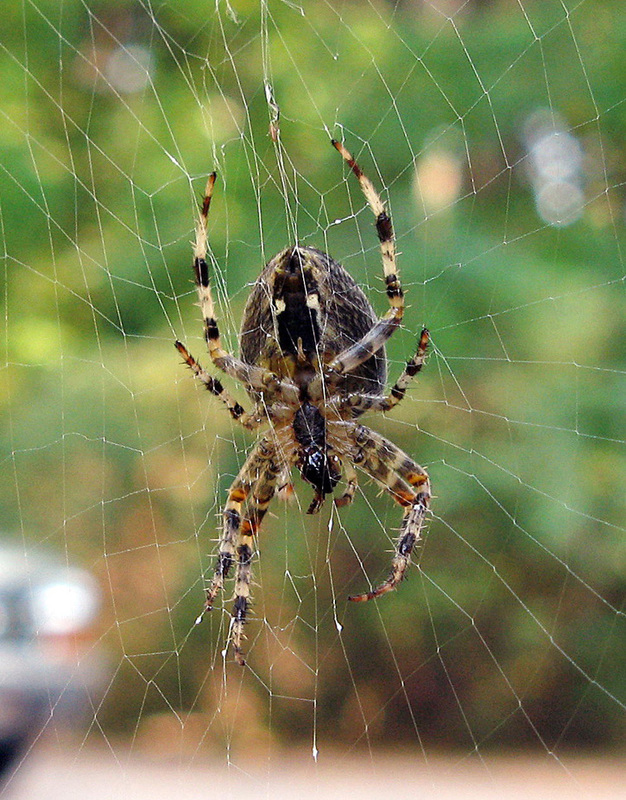 So, what kinds of spiders are you likely to see in and around your home, and what do their webs look like? Ipswich River Property Manager Richard Wolniewicz helps unravel the mystery. 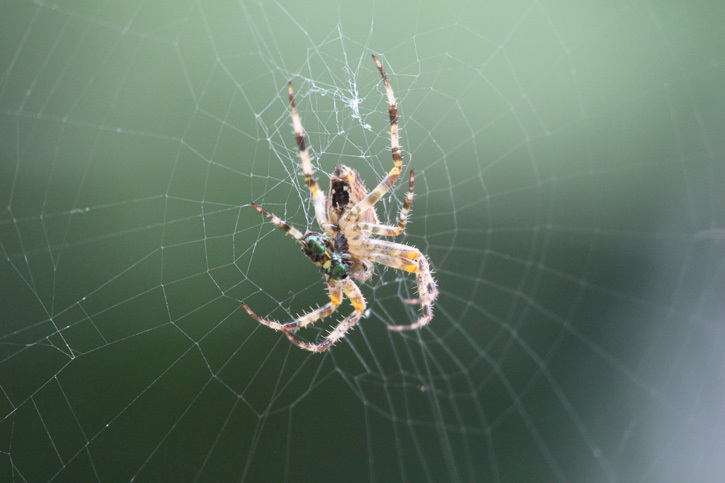 This entry was posted in Nature Notes and tagged bugs, spiders on November 6, 2012 by Heather.